Kevin Ware doesn't think Anderson Silva will ever be the same fighter. 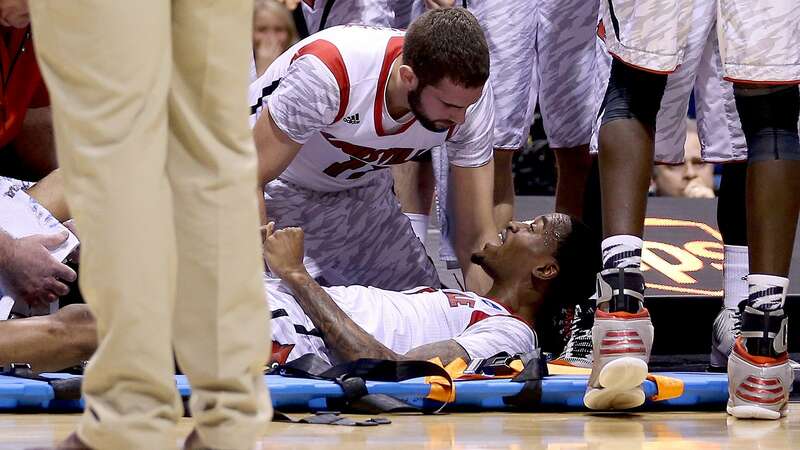 Kevin Ware hasn’t watched the video clip or the GIFs and doesn’t plan to. 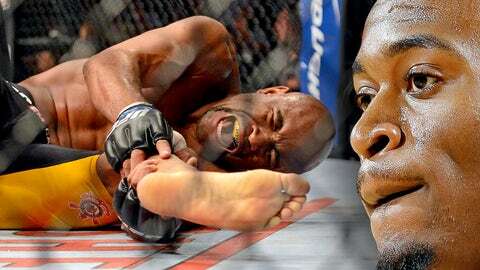 He doesn’t need to see Anderson Silva break his leg in gruesome fashion at UFC 168 last Saturday night. Ware already knows all about it. "I was feeling pain for him," Ware told FOX Sports. Ware has become the most recent poster child for high-profile leg fractures in American sports. The Louisville guard landed awkwardly after attempting to block a shot in the NCAA tournament Elite Eight last March against Duke and suffered a compound break of his right leg. The grisly injury was disseminated everywhere, from sports highlight shows to social media. Many people know that he was able to rehabilitate and come back to play this season. What most don’t is that his comeback has been cut short. After playing vs. Missouri State on Dec. 17, Ware decided to shut it down. He’ll redshirt this season and try to return again next year. Even though I can play basketball, I’m not the same person I was. "Even though I can play basketball, I’m not the same person I was," Ware said. Therein lies the cautionary tale for Silva. Ware said in nine months — the date UFC surgeon Dr. Steven Sanders targeted for a possible return to training — Silva might feel like a UFC fighter again, but he won’t feel the same as he did before. He won’t be the same Anderson Silva. "Him wanting to retire or call it quits, I wouldn’t be surprised," Ware said. Ware said he was accidentally kicked in his right leg during that game with Missouri State and the pain was excruciating. The leg swelled up and he can’t run on it right now. Ware said he couldn’t imagine attempting to do what Silva might. Silva is the first UFC fighter to break his leg in such a way since Corey Hill in 2008. Hill returned to competition after the injury, but told MMA Fighting this week that he never felt the same way he once did. Ware and Silva have similar fractures, but they aren’t exacty the same, according to Dr. Robert Klapper, who performed surgery on Silva’s elbow in 2009. Klapper, the director of the joint replacement program at Cedars-Sinai in Los Angeles, said that the two fractures came from opposite sides of the leg. Ware’s broke from the back and the bone broke through the skin in the front of the leg, while Silva’s snapped from the front. Silva’s calf muscle stopped the bone from protruding through the back of his leg. Klapper said Ware has more pain than Silva potentially will because his fracture was compound. But any time a rod is inserted into the tibia — the procedure both had done — there will be tenderness to the touch in the area where the screws are inserted to lock the rod into the bone. Those screws can be removed about a year after surgery, Klapper said, and the pain will cease immediately afterward. "[Ware or Silva] should be reassured it’s not the fracture breaking again, the muscle in trouble or the creation of other problems," said Klapper, who is also the sports medicine analyst for FOX Sports 1. Klapper theorizes that Ware could be having a similar reaction to the one experienced by Chicago Bulls star Derrick Rose, who tore his ACL two seasons ago and struggled to come back last year. Both injuries were of the non-contact variety; they landed incorrectly. Meanwhile, Adrian Peterson of the Minnesota Vikings came back inside of a year from his torn ACL and immediately returned to being the best running back in the NFL. The difference? Klapper said it could be the mental challenge of coming back from a contact injury vs. a non-contact injury. Peterson was tackled when his ACL tore and Ware and Rose were untouched. Silva, who was performing a kick when Chris Weidman blocked it, would fall into the former category with Peterson. Him [Silva] wanting to retire or call it quits, I wouldn’t be surprised. "Your body has just failed you," Klapper said. "What does that do to the mindset of the athlete? We can’t even measure that." Ware doesn’t believe any of his obstacles have been mental in nature. He wants to be the same player that many expected to be a significant contributor for Louisville this season. He just isn’t able to. His leg isn’t ready. Ware said Silva should cherish all the love he’s getting right now from supporters. Though Silva is 38 years old, the 21-year-old Ware said age won’t matter because of Silva’s fitness level and the fact that he’ll "get all the best rehab in the world like I did." That still doesn’t mean the greatest UFC fighter of all time is going to come back quickly, if he does decide to return to the Octagon at all. "It’s going to take a lot of time, regardless," Ware said.